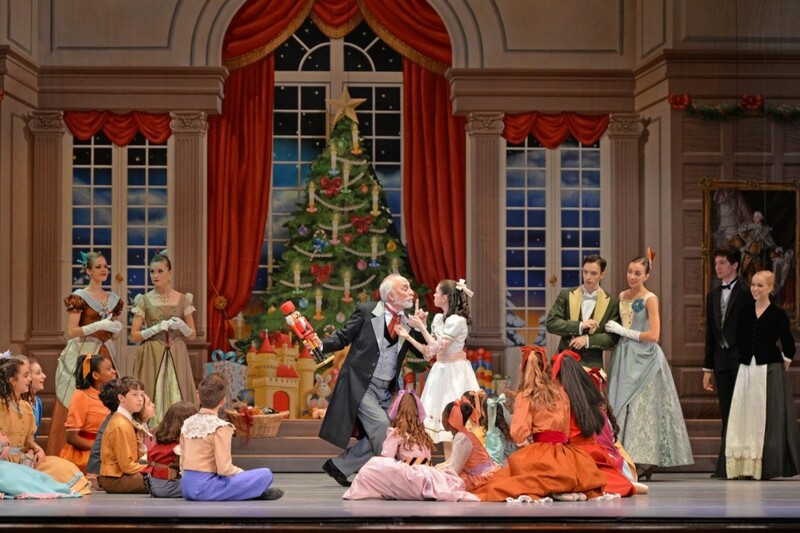 Would you like to see Charlotte Ballet’s Nutcracker before the Belk Theater doors open to the public? For one night only, Charlotte Ballet hosts Night at the Nutcracker – a celebration of the sights and sounds of the holidays! Nutcracker comes alive as Founders Hall is transformed into The Land of Sweets featuring sweet and savory hors d’oeuvrs, seasonal cocktails, intriguing silent auction items, decadent desserts, and children’s activities in Snowflake Village. Following the party, guests will enter the magnificent Belk Theater to enjoy exclusive excerpts of Act II of Jean-Pierre Bonnefoux’s Nutcracker, before it opens to the public! 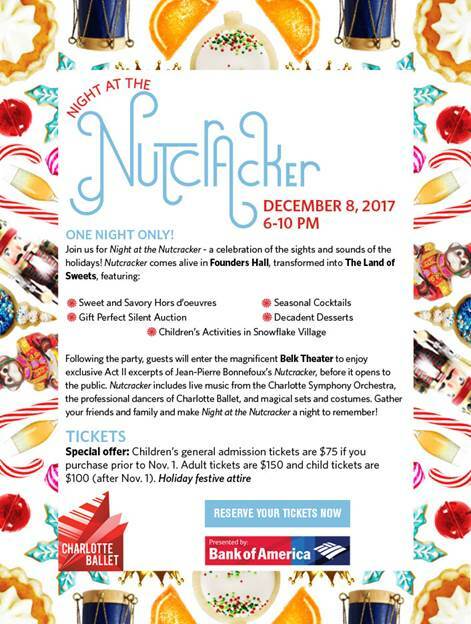 Nutcracker includes live music from the Charlotte Symphony Orchestra, the professional dancers of Charlotte Ballet, and magical sets and costumes. Event proceeds will benefit scholarship opportunities to aspiring dancers within both Charlotte Ballet’s national award-winning community engagement program, Reach, as well as the Charlotte Ballet Academy. For more information and tickets, visit http://charlotteballet.org/tickets/nightatthenutcracker. Happy holidays! Now get your holiday party on!